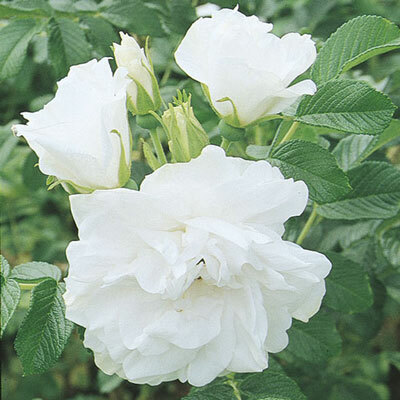 A beloved member of the Rugosa species because of the nearly continual production of pure white large double flowers saturated with fragrance. Its tidy habit makes it easier to luck into a modern landscape than most of the other family members. Tough, hardy & naturally disease resistant. Red hips ripen in the fall. Avoid chemical sprays. Only available budded.